Laura Littlepage, full time with O'Neill Bloomington since 2018, joined O'Neill at IUPUI and the Public Policy Institute in 1992. She is currently the campus director of the Nonprofit Leadership Alliance. 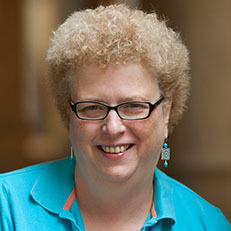 In addition, she is an affiliate faculty member of the Lilly Family School of Philanthropy. Littlepage's professional experience includes being a senior researcher with the IU Public Policy Institute from 2000-2018, the administrative director for the Methodist Research Institute from 1999-2000, policy analyst for the IUPUI Center for Urban Policy and the Environment from 1992-1999, deputy director of the Office of Research with the Indiana Department of Commerce from 1990-1992, and policy analyst with the Division of Planning and Budget for the Indiana Department of Transportation from 1989-1990.